Make your philanthropic gift through the Mount Vernon Preservation Challenge to help fund our most pressing projects and to support future preservation initiatives. Preservation work never ends. Each year, the Mansion, outbuildings, and grounds are exposed to the extremes of weather and the wear put on them by more than one million visitors. 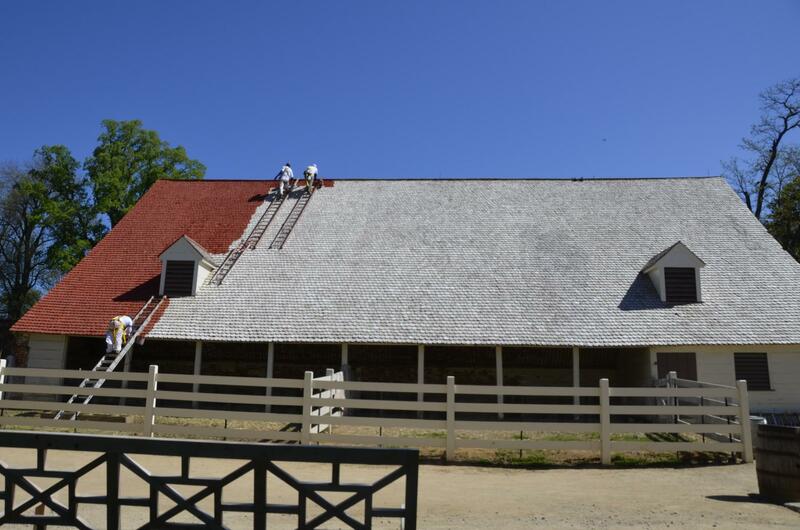 Mount Vernon’s preservation team works hard to combat deterioration and to restore and preserve George Washington’s home to how it appeared during his life. We have reached the point at which it is absolutely necessary to address immediate pressing concerns and to launch strategic projects that will protect these structures for the long term. The East Slope overlooking the Potomac River must be stabilized to prevent the spread of damage to Mount Vernon’s historic buildings and structures. Numerous landslides have occurred and without action, several of Mount Vernon’s historic resources are at risk. After enduring more than 280 years of rain, snow, sun, wind, and termites the Mansion’s masonry foundation and wooden framing are damaged and deteriorating. These stability issues must be addressed so that this iconic home can continue to absorb the impact of the more than one million people who pass through it each year. One of Mount Vernon’s original 18th-century structures, the North Garden House, needs to be restored. A significant amount of the building’s 18th-century framing still survives, but some of it has pronounced deterioration. In order to conserve and repair the framing and stabilize the structure, a significant amount of work must be done. Over the past four years, money raised during the Preservation Challenge has allowed Mount Vernon's preservation team to do crucial work. They maintain and repair doors, locks, windows, and shutters. Keep each structure weather tight, by maintaining the siding and keeping wooden roof shingles in good repair. While much work has been done, these projects never end and we cannot do this work without your help. Mount Vernon is a 501(c)(3) not-for-profit organization (Federal ID Number: 54-0564701) and receives no federal or state funds. All contributions are tax-deductible to the extent allowed by law.